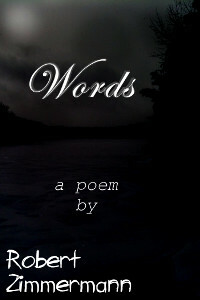 Words is a short poem that’s a taste of an upcoming collection of poetry that I’m working on. The poem started out as a simple observation of the snow in moonlight, and turned into a poem with more to offer. I’m offering it free to my readers. I’ve had it on my blog, where it’s gotten much response, and wanted to give everyone another way to access it.